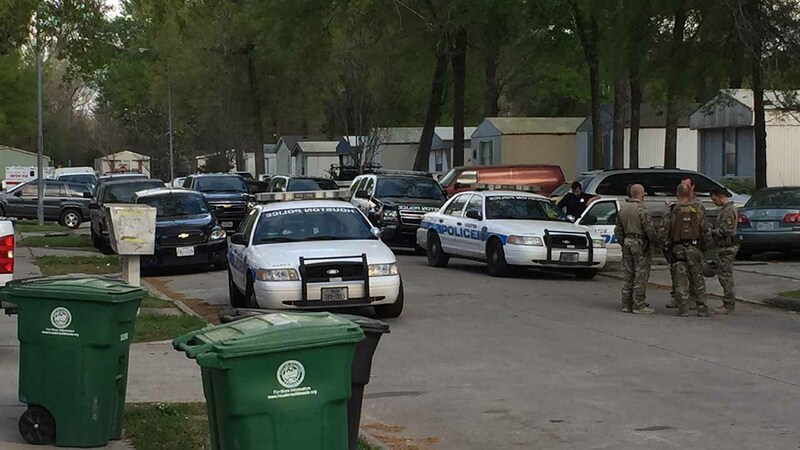 HOUSTON (KTRK) -- A man is in custody after SWAT was called to a residence in northeast Houston. Authorities were called to a trailer located on 906 Bens Lane. Investigators say a male was sitting outside of a red truck when another male came outside of the trailer. The two men started yelling at each other. The male who exited the home, shot the man sitting at the truck. Initial reports were that a man inside the home was in a standoff with SWAT after firing shots at a woman. No female was harmed or shot at.